In the last while, I have occasionally written something that resembles a review of technical communication editing tools. As we enter a new string of product releases, I’d like to take a moment to explain where I’m coming from, and why I do these the way I do. In recent years, I’ve almost completely stopped developing technical content. I do architecture and design, training, consulting – but I rarely actually open an editor and write anything that looks like a technical communication product anymore. Aside from word processors and early versions of Interleaf (which still exists, under the name Quicksilver), these are the only editors that I have used personally to develop technical content. In the past, I have indicated that both of these companies provide me with free access to their software – not for review purposes, but for other projects. It’s important to make it clear, that when you have a close relationship with a company, you’re not going to write a negative review of their product. On the other hand, I doubt I’d want to go on working with a company whose product I did not appreciate. So, you can be sure that if I review a product, it’s because I have an overall positive view of it. If I didn’t, I wouldn’t review it. Period. So, does the absence of other product reviews here mean I don’t like them? Absolutely not. There are lots of other products out there that seem interesting to me, even really fascinating, and I maintain equally friendly relationships with many of their publishers. I haven’t reviewed these other products simply because I’ve never had enough opportunity to use them in a production situation, and I don’t think it is fair to judge a product that I only know from demonstrations. In the end, I don’t think what I write about these products are really reviews, and I don’t think they should be – both because I am not totally disconnected from the publishers, and because I’m pretty sure that I can contribute better to an understanding of the appropriate use for these products by commenting on their direction, trend, and philosophy, rather than their features. I always disclose my connections, and I always reserve the right to an independent opinion. That’s how I think I can best serve both you, the readers of this blog, and the companies who seem to value my ideas. I hope you all agree, and derive benefit from my attempt to walk this path. 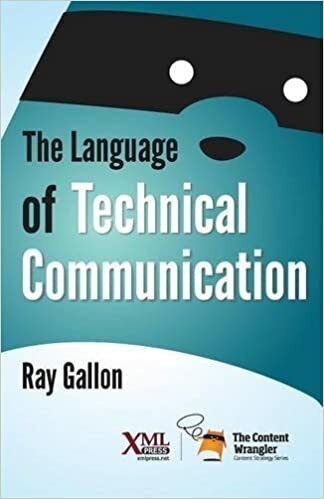 This entry was posted in Report and tagged Adobe, blogging, choice, Decision support, Editors, Ethics, oXygen, product reviews, Ray Gallon, Software, Technical Communication, XML. Bookmark the permalink.